A tranquil paradise by the Terengganu river. Uniqueness of this attraction Awi is a boat builder who’s lived in Pulau Duyung all his life. 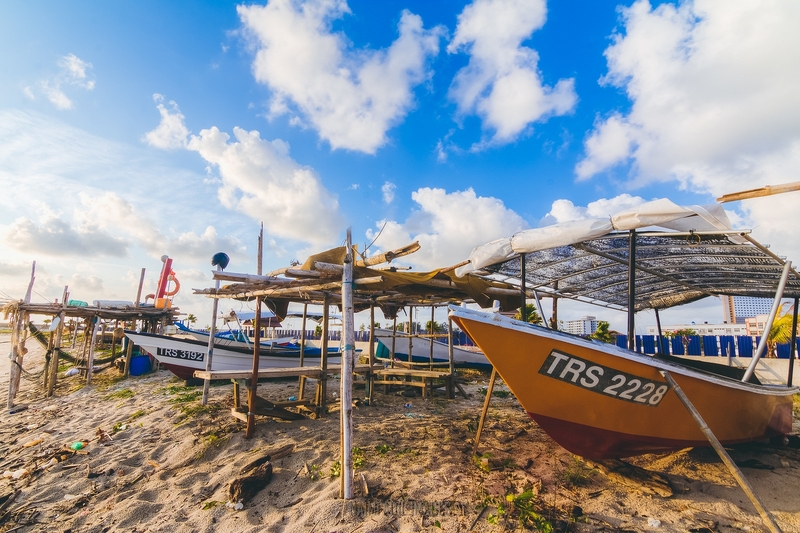 He and his wife, Christine Rohani Longuet met when she ventured from her hometown of Paris to visit Pulau Duyong and learn to build boats from the craftsmen on this island. Many decades later, they both run a guesthouse which is revered by many tourists as a memorable destination: Awi's Yellow House. Sitting on the banks of the Terengganu river, Awi's Yellow House is located in a quiet kampung village among a community of boat builders. Insects are found all over the area along with otters and mullets just below the boardwalks of the mangrove area where is is located. The chalets are cheap and simple with basic amenities. You gain the unique experience of living how it was like in the past: no air conditioning, mosquito nets over beds, a wooden stilt house and the smell of fish paste in the air. A typical day spent here is relaxed and carefree. You can watch Awi carry out his daily work: restoring old boats and making them seaworthy again. There’s also a fun mix of characters living and helping out there, all past travellers who have found it difficult to leave Kuala Terengganu behind. You can also travel yourself by kayak to the nearby attractions such as the Islamic Civilization Park and the Crystal Mosque. Other things to do here? From Awi’s Yellow House, you can take a kayak to the Crystal Mosque or Islamic Civilization Park! A 20 minutes ride on the kayak can also take you to town for breakfast at local eateries. Beside Awi’s Yellow House there are also a few boat-building shops where you can see Awi and a few other working away on their projects. Near the jetty in the early hours of morning is a good place to spot otters. What to bring home? Awi’s Yellow House is premierly a window for travellers to catch a glimpse of what true living in a fisherman’s village is like. That being said, there’s not any physically items that you can take back with you. Bring a good camera and document the new kind of lifestyle you experience in your photographs instead to create memories that will last you a lifetime. Getting around The biggest gripe of staying at Awi’s Yellow House is actually getting there! There are no longer any regular boats to Awi’s Yellow House and the public buses on Pulau Duyong are erratic at best. Hiring a taxi would be the best way to reach Awi’s Yellow House as all of them know where it is located. If you’re squeamish about tiny lizards running around then this isn’t the guesthouse for you! Negotiate your price with the taxi driver before getting into the taxi cab. Awi lets you borrow bikes/kayaks to use for free! There are many mosquitoes around during late evening/night. Pack along an insect repellant spray with you for your stay. There is a sundry shop nearby the entrance to Awi’s Yellow House where you can get supplies. It’s not the most ideal accommodation option for everyone who enjoys roughing it out, but if what you’ve read so far intrigues you, Awi's Yellow House is a place you can’t miss on your visit to Kuala Terengganu. Awi’s Yellow House gives you a taste of what kampung life was like back in the old days with a simple lifestyle and no creature comforts. Totally enjoyed my new experience in Awi Yellow house. Recommended if you are looking for something that really close with nature and live like a loc...read more Totally enjoyed my new experience in Awi Yellow house. Recommended if you are looking for something that really close with nature and live like a local people.